Education in Tripura, Tripura Higher Secondary Education, Tripura Education. The main aim of establishing Education department in Tripura was to improve academic outline of the state. Further department of education in Tripura was divided into three segments Education (The school), Social welfare and Social Education Department and Education (higher). Free and compulsory education scheme for 6-14 years of age was launched by the Government to provide education. Schools in Tripura are affiliated to Tripura Board of Secondary Education or Central Board of School Education (CBSE). Even several schools also affiliated to the Council for The Indian School Certificate Examinations (CISCE). The different levels of education in Tripura are primary stage, middle stage, secondary stage and higher secondary stage. Government as well as private own school operate in the state of Tripura. Some of the well known schools in Tripura are Assam Rifles School, Assam Rifles Middle School, Kendriya Vidyalaya Kunjaban, Kendriya Vidyalaya, ONGC Base Complex, kendriya vidyalaya, BSF Campus, Bagafa, Kendriya Vidyalaya, Panisagar, Kendriya Vidyalaya, Kailashahar, Hindi Senior Secondary School, Abhoy Nagar, Kunjaban Road and ramakrishna mission vidyalaya. Tripura university is the only university located in Tripura. Gandhian Studies, Tribal Language and Geography and Disaster Management or general programs in streams of arts, commerce, science, engineering or information technology is offered at Tripura University. The lecturers and professors in colleges of Tripura are well versed and experienced. All colleges in Tripura are affiliated to Tripura University. 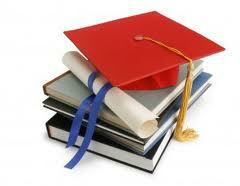 Regular as well as distance education is provided by the colleges in Tripura. In most of the schools of Tripura, English and Bengali is the medium of instruction. However some of the schools also teach in Kokborak and other tribal languages.